The return of a mythical beast! 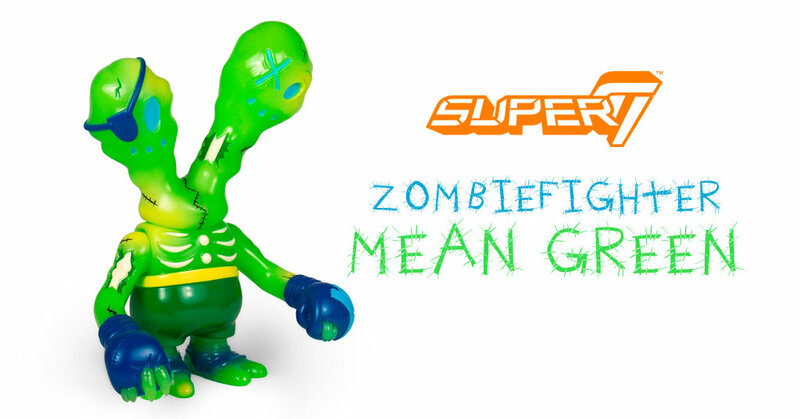 The legendary Zombiefighter was the first original Super7 character, created back in 2005. Now in a new ‘Mean Green’ edition, handmade, hand-painted and imported from Japan. Stands 5.5-inch with three points of articulation, hands and neck. Comes poly-bagged with a custom header card. Available right now HERE for $65 a pop! Don’t miss it!